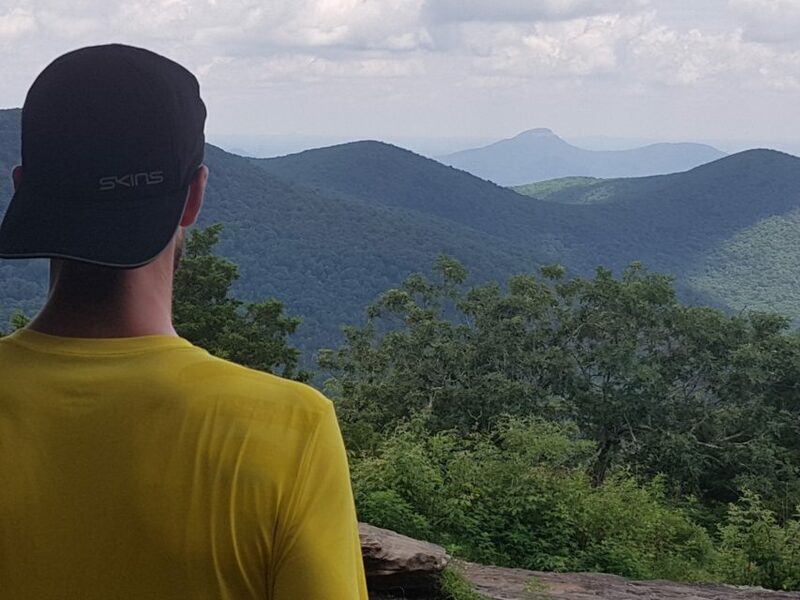 A 28-year-old dentist from Belgium just completed the Appalachian Trail in record time. Not only did he beat it, but he crushed it by four days, finishing the 2190 mile journey in 41 days, 7 hrs and 39 minutes. 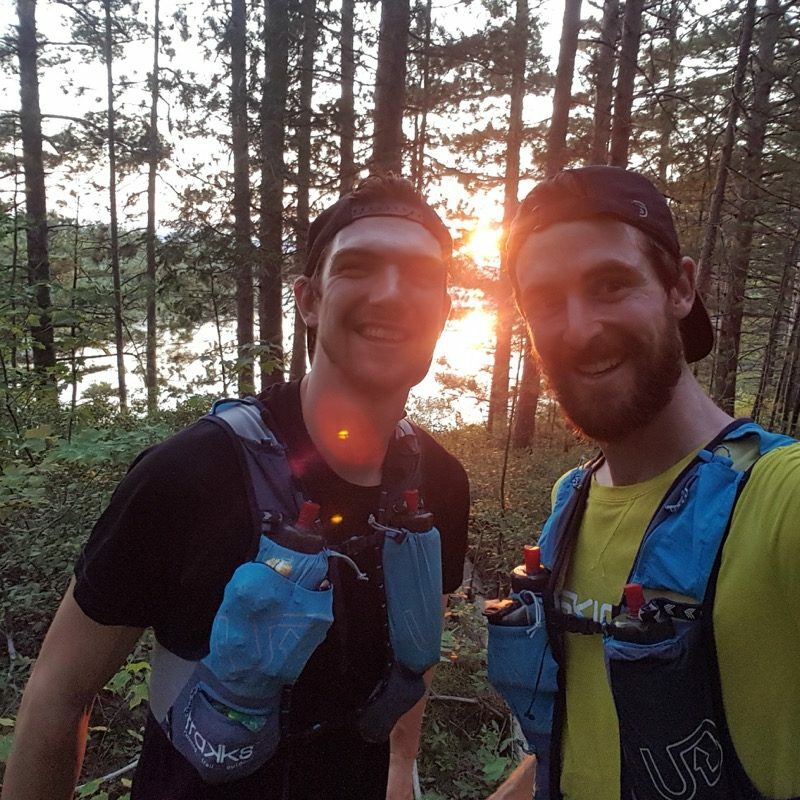 This would be the Belgian’s second FKT record, having set the Pacific Crest Trail record back in 2016 (52 days 12 hours 25 minutes). But he isn’t just a dentist by day and a record smasher by night (and day). He has a name and a story to share of how he got where he is and how he completed such a phenomenal feat. So, who is “he” and what’s his backstory? Karel Sabbe is his name, and his story began long ago as a child when his parents would take him and his siblings on adventures. It wasn’t until he was 17 years old, however, after hiking Corsica’s GR-20, when Sabbe says he really got the hiking bug. This adventure led him places like the Pyrenean High Route, the Alta Via 2 in the Dolomites, the Rim to Rim in the Grand Canyon, as well as hikes in Iceland, Central Asia, Namibia, and a thousand miles in New Zealand. 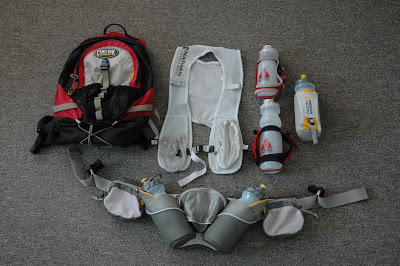 He even completed New Zealand’s Coast to Coast race, finding that he was talented at trail and ultra running. 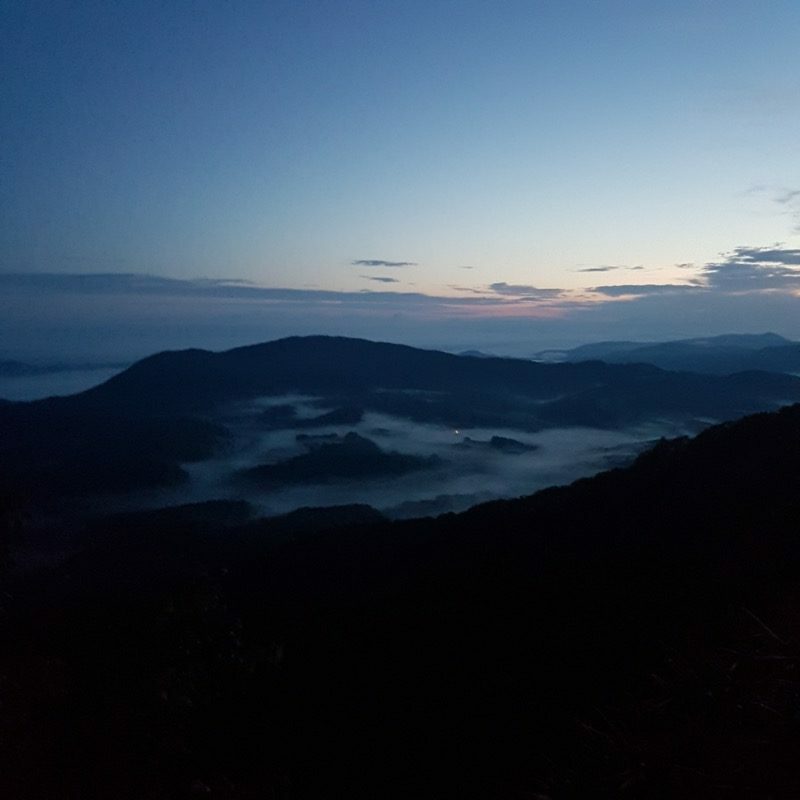 Fast forward a few years, Sabbe found himself spending a summer volunteering at the US National Parks, and that is when it all clicked. 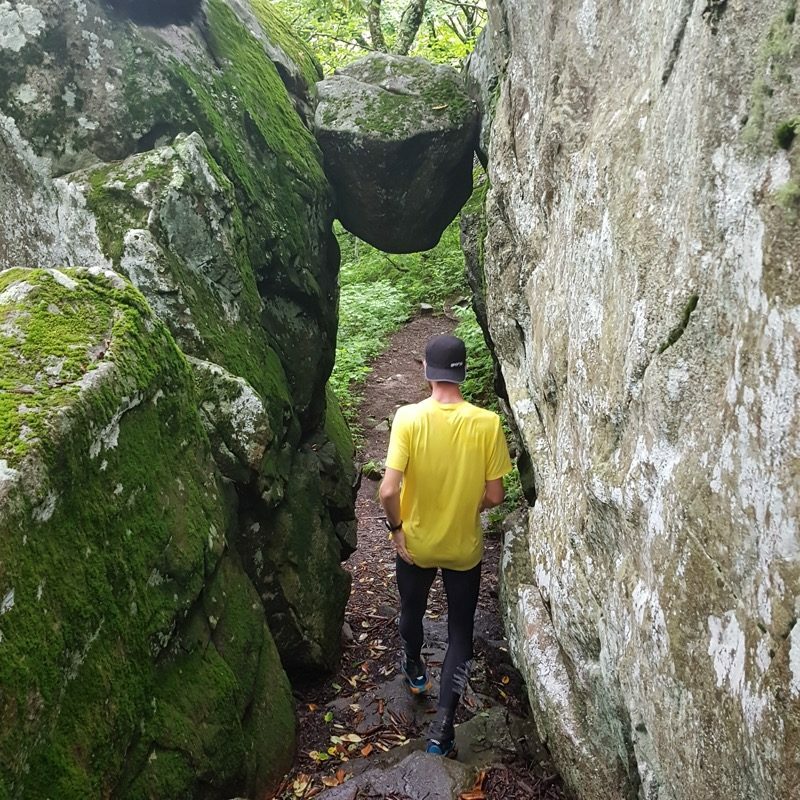 And after setting the PCT record, Sabbe set his sights on the AT for a few reasons including the history, the epicness of the trail, because it’s “the roughest, toughest long-distance trail of the U.S.,” and because of all the continuous single track. 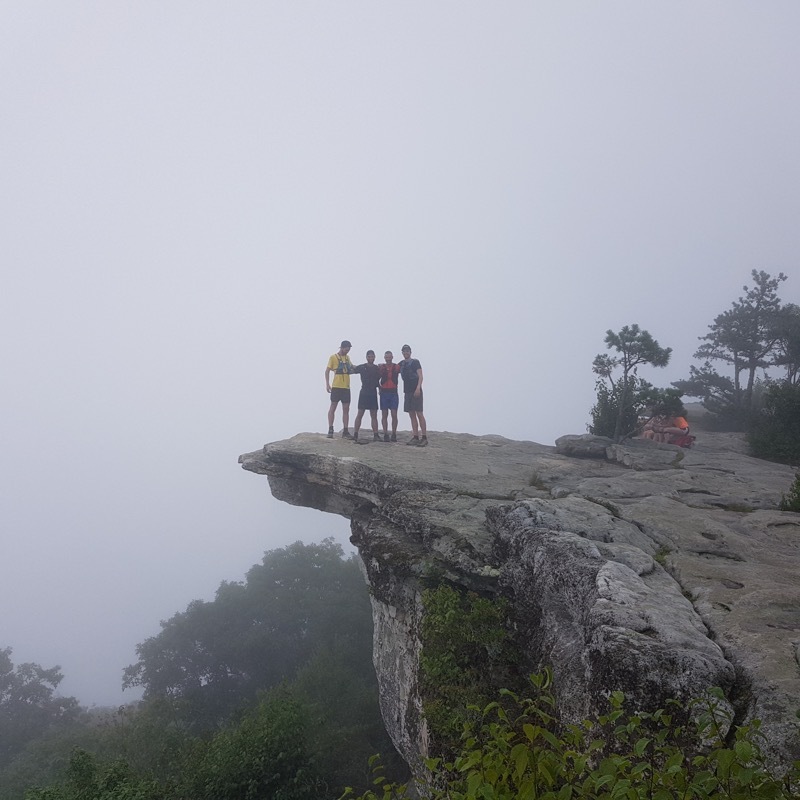 At 4:30 a.m. on July 18th, 2018 — Just two years after his PCT record that he currently still holds — Sabbe, along with his crew, began his Appalachian Trail journey. But it wasn’t just a fly-by-the-seat-of-his-pants endeavor — as these things often aren’t. Sabbe had specific instructions for his crew and expectations of himself. There would be no wasted time, and he would be proactive about keeping his body and mind in top condition throughout. In order to do this, Sabbe said that there were a few key things that made big differences in his journey. 1. Get up and go! Sabbe said there was no time for power naps, and if he got tired, he would continue on until the fatigue passed. He said that keeping moving always paid off at the end of the day. 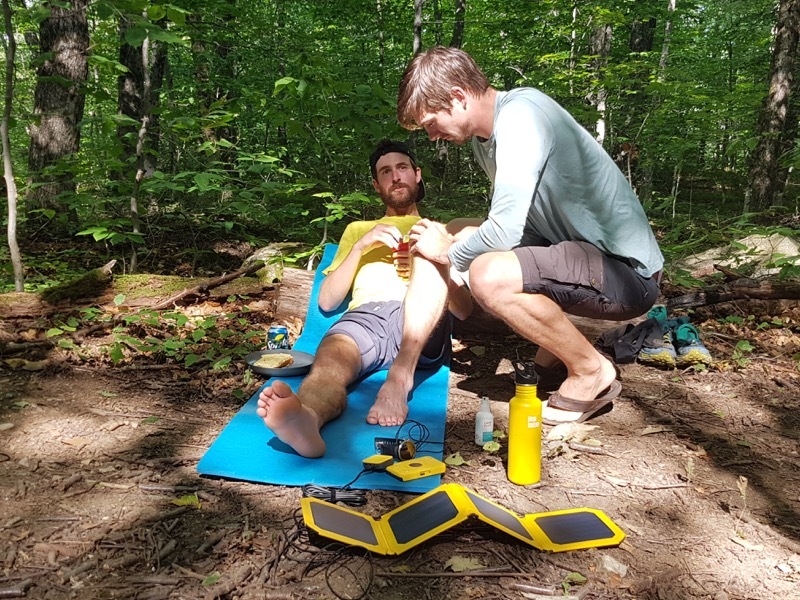 And true to morning coffee form, Sabbe often just ate on the go, taking time to eat during the sections that were unrunnable, using technical or steeper climbs to eat instead of wasting runnable terrain by hiking. Another time-saving effort included doing his night running in the morning. 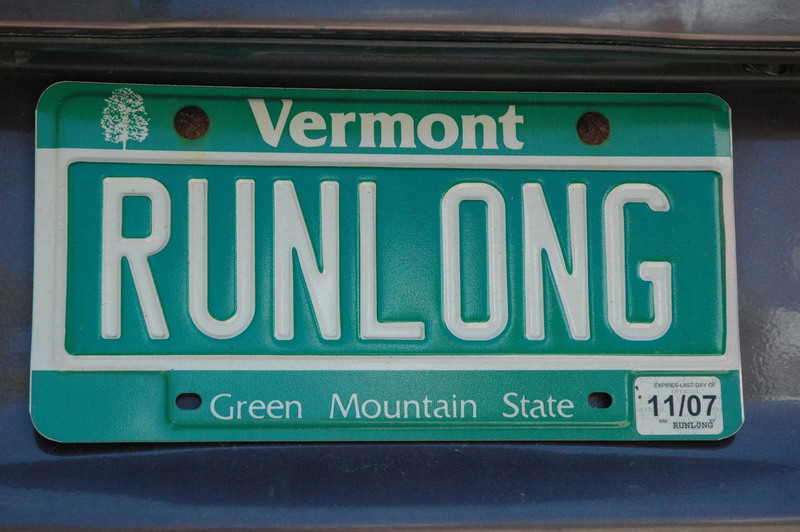 In his research, Sabbe found that many previous record holders lost a lot of time when they got off track, as well as in trekking distance to parking spots. 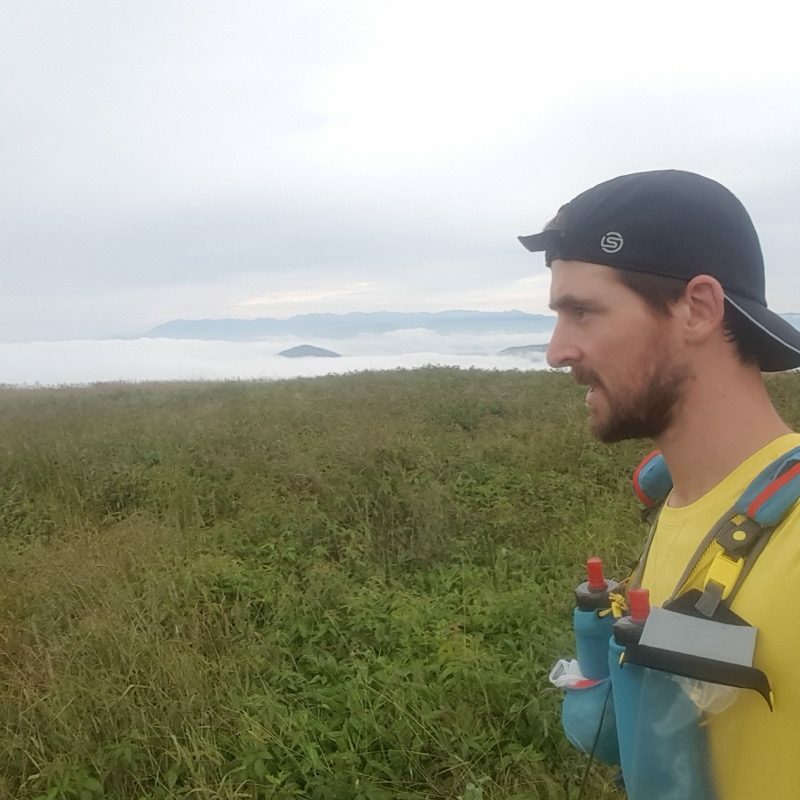 Sabbe eliminated extra distance by relying heavily on his GPS watch and tracker, as well as using his crew to eliminate extra distance to the parking lot. 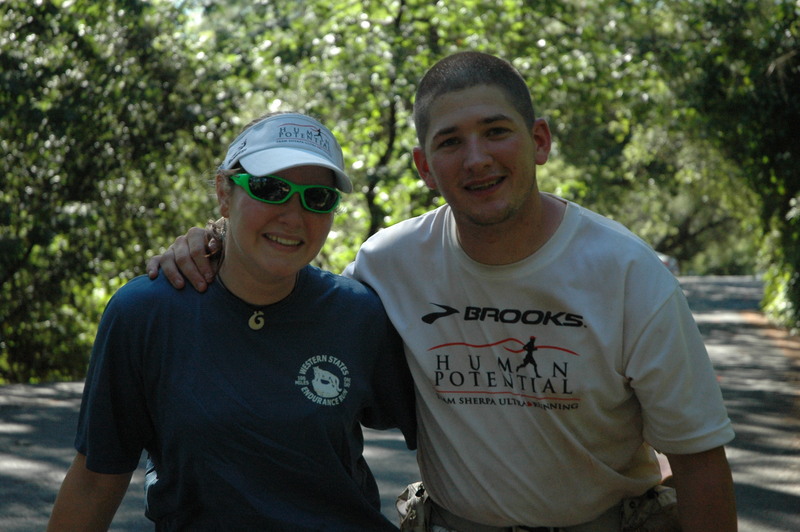 Sabbe’s support crew, Joe is a physio (physical therapist), and was key to keeping him healthy. He said that whenever he felt an injury coming on, Joe would treat it and give advice. This allowed him to stay injury-free the entire time, which according to Sabbe, took a definitely day- a day-and-a-half off the record as all other record setters had gone through major injuries. 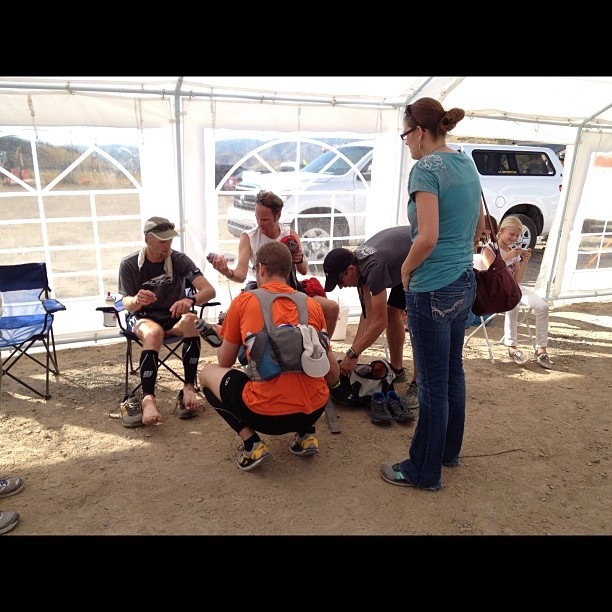 A couple of things he made sure to do were to ice his shins daily, as well as areas that started hurting. He also made sure to take care of his feet. 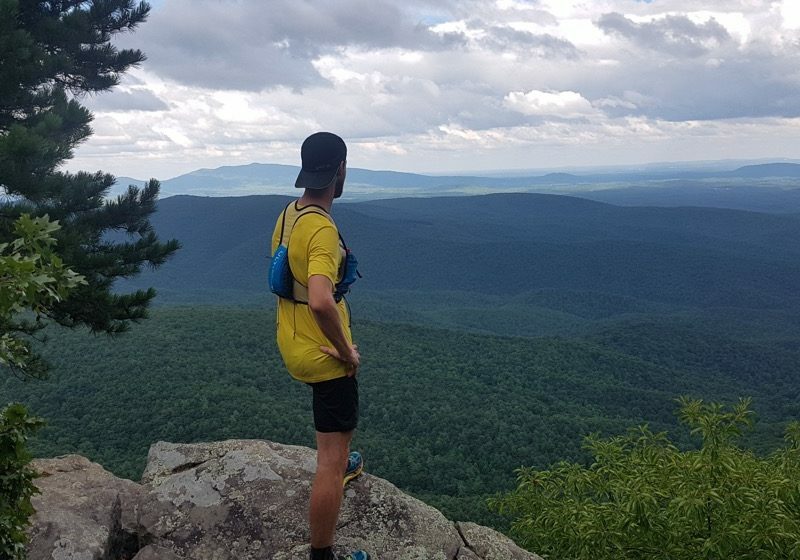 Logistics aside, there was just something about being out on the Appalachian Trail that helped Sabbe reach his goal. And then there were the people who helped along the way just to be a part of his journey. 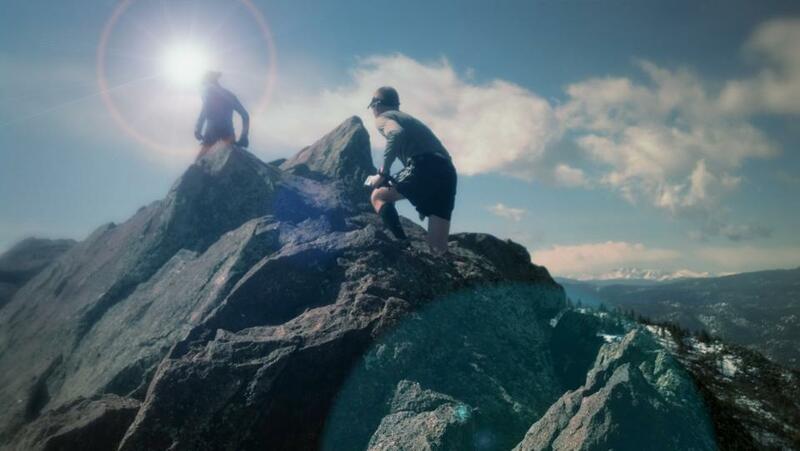 Sabbe spoke about hiking up the historic Mountain Katahdin with Joe, and how special it was. He then spoke about the unexpected help from people in the community. When asked if there were any times on the AT he’d rather not remember, Sabbe remained positive, stating that it was a wonderful experience. So, what’s next for this 28-year-old dentist/world-record-holding immortal? Just like anyone who treks an extraordinarily long distance would like to have following their efforts, Sabbe is looking forward to some rest. “I am going to rest and enjoy this experience and let it sink in a bit more,” Sabbe said. “I definitely did not finish thinking ‘Never again!’ So don’t be surprised if I will go for another speed record in the future. He noted hikes in New Zealand (perhaps the Te Araroa Trail that covers the length of New Zealand) as a possible contender. 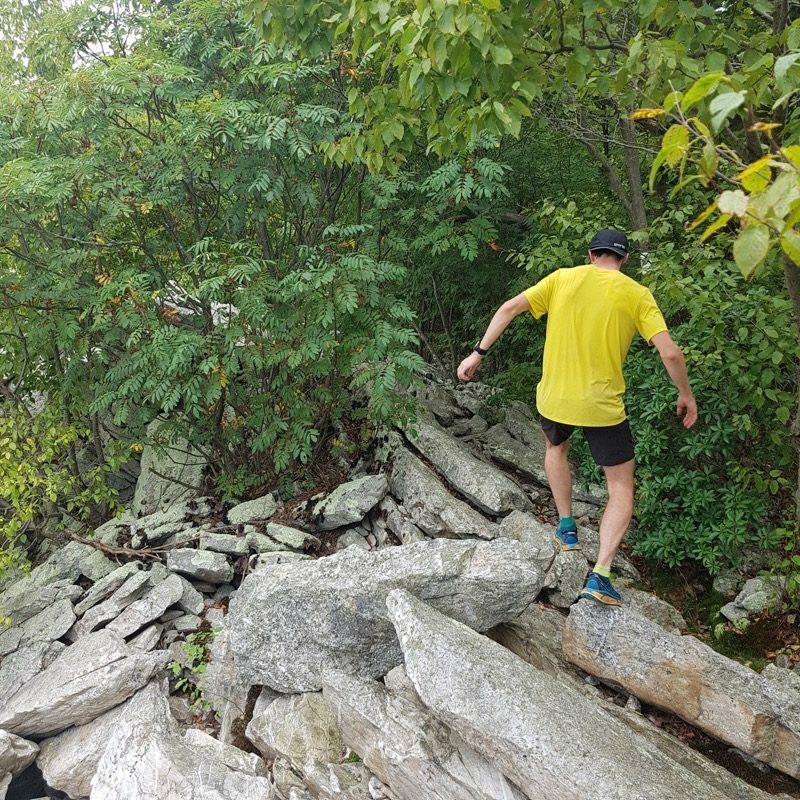 For now, Sabbe says it’s time to take it easy and focus on other things like renovating his house and enjoying short runs again — that is until the uneasiness returns and new adventures come up. Great article very well done.